When I was actually in the shower with this little lot, I wasn’t exactly loving it. 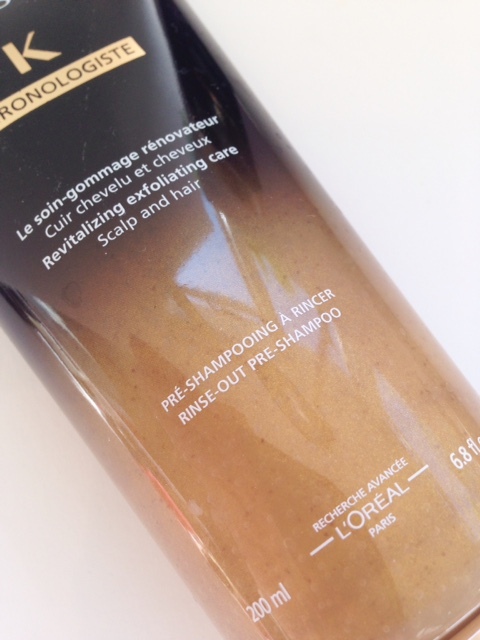 In particular, the Pre Shampoo which is an exfoliating treatment for the scalp. The instructions suggest that you massage this into your scalp and hair for a full five minutes. Unless you’ve got biceps of steel, this is quite a big ask although as an exercise for bingo wings, I’d imagine it’s rather effective. Minutes one and two are fine but thereafter, it’s quite a challenge! A bit like when you go for a really long swim when you haven’t been near water for months… that wobbly leg thing. Only with arms. 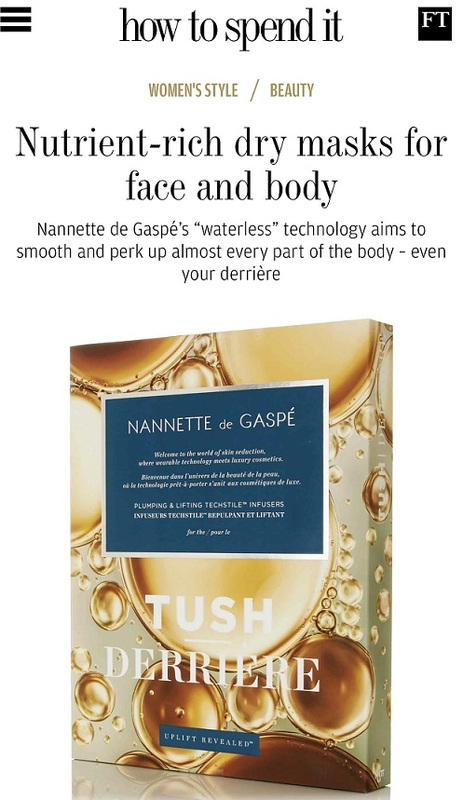 Personally, I’d ditch this treatment – unless you’ve got specific scalp issues, you won’t really need it. 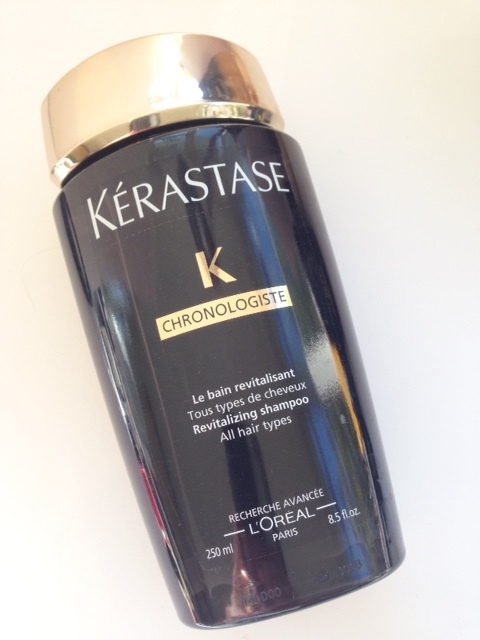 The Kerastase Chronologiste shampoo feels very rich – a bit too rich actually, and I was worried that I wouldn’t be able to get it out of my hair. Key learing on this one is that you don’t need very much! Even after significant rinsing, I wasn’t sure it was all out. Finally, the conditioning mask. Again, it feels more luxurious in texture than other Kerastase masks that I’ve tried but seemed to rinse away fairly well. But, oh my! Once I’d blow dried my hair, the shine was incredible. I would honestly say that it’s the shiniest and bounciest my hair has ever been and that shine lasted a full two days before it started to fade down. The results more than outweighed the faff. 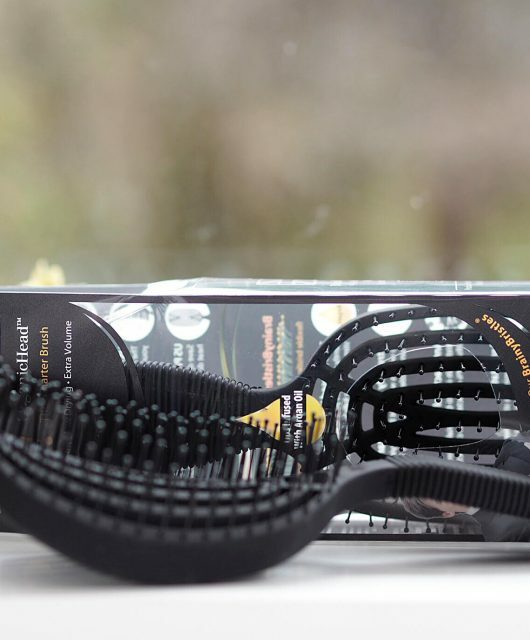 The Kerastase Chronologiste range, unlike other Kerastase products, is for all hair types. 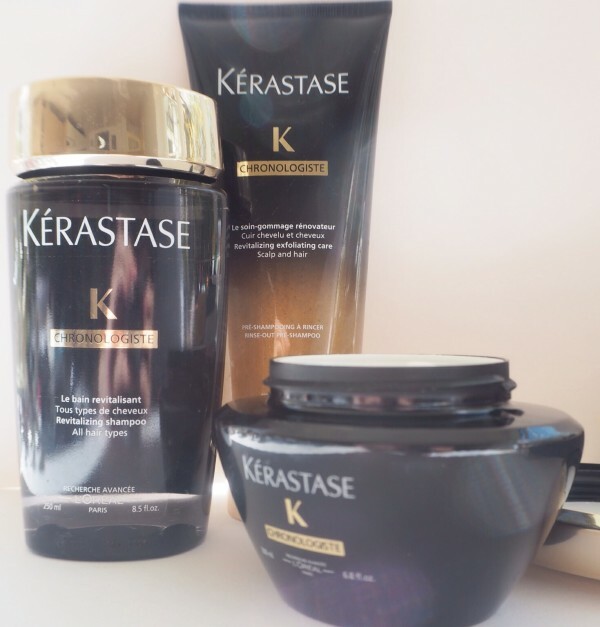 Kerastase is my favourite hair brand – I never get the same results with other brands and always, always go back to it as my preference. 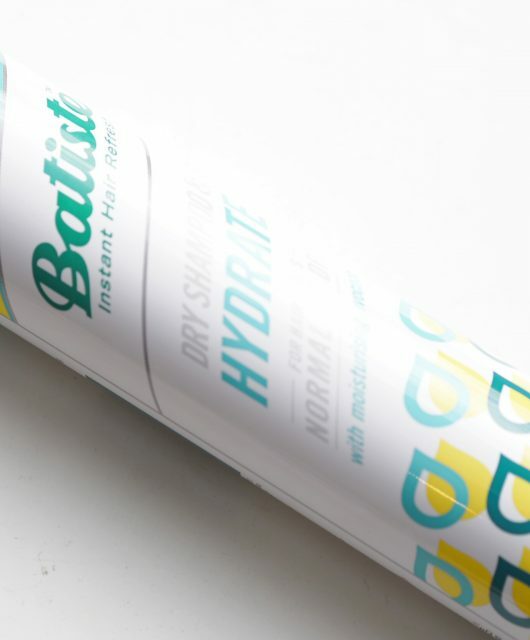 Hair care brands are often the worst at hype – more than skin care, I’d say – but this is living up to its claims, at least for my hair. If my hair was very oily, I might think differently, I must admit. 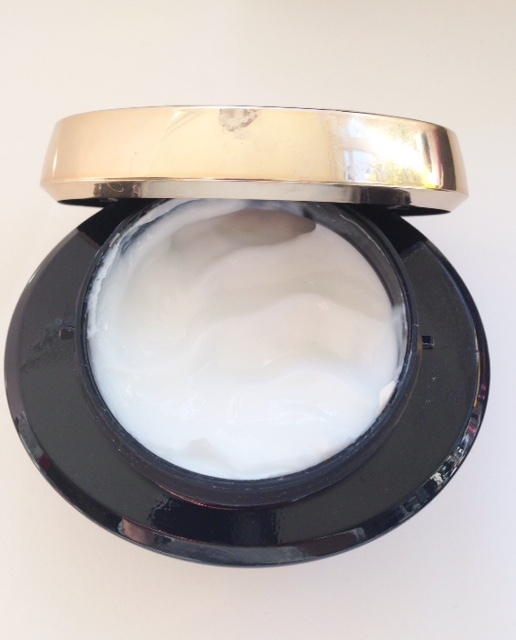 So, Kerastase Chronologiste contains a multitude of lipids, vitamins (A and E), ceramides, antioxidants and silicone. There’s much made of a ‘caviar’ ingredient which isn’t really caviar so don’t worry – I think it just sounds more luxurious. As you’d expect, Kerastase Chronologiste is expensive. The pre-shampoo is £28.50, the shampoo is £23 and the mask is £32. I’m quite price conscious, and know this is crazy money for shampoos and conditioners, but truly, I’d buy the shampoo and the mask in a heartbeat to have on hand for when hair just needs to look amazing (it’s HERE). If I wanted to include the scalp exfoliating option, I’d probably book for a salon treatment (HERE) and let someone else’s arms take the strain! Easier I think to massage for five minutes on someone else’s head than your own. The Kerastase Chronologiste range is a massive recommend by me – even at that price. 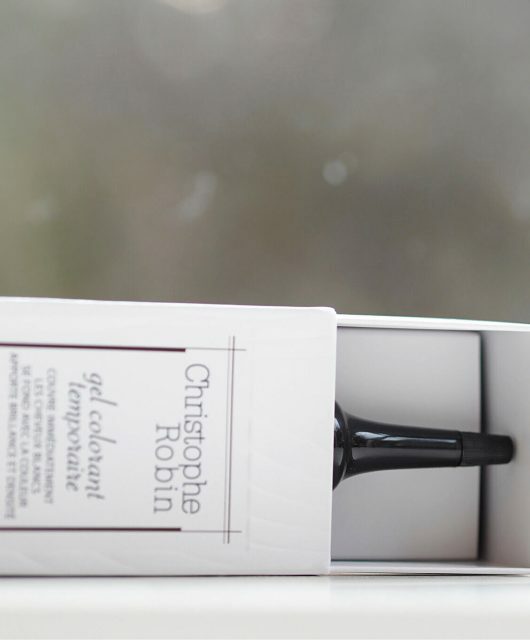 Pricey but who doesn’t love a good shine on their hair! I like the idea of an exfoliator the scalp but I don’t think I could do 5 minutes either, maybe one or two. where did you leave it? I don’t see it..
My hairdresser uses Kerastase so can’t wait to try this at next appointment. With the shampoos and masks my hairdresser will sell regular customers the salon sizes although investment is initially higher its a steal in comparison with standard size prices. This is honestly the best thing I’ve ever tried on my hair (I like high end hair products). I don’t have the mask, although I will get it now immediately. 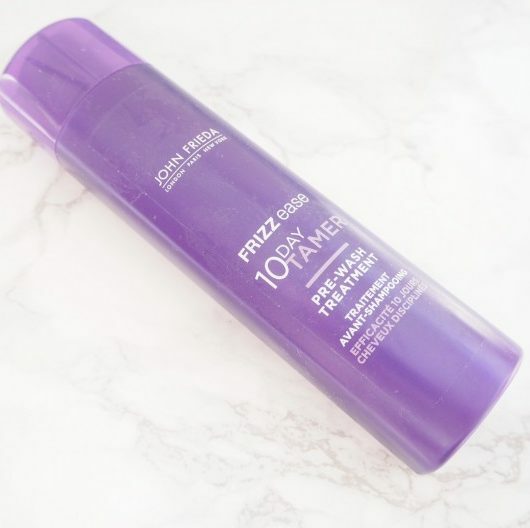 I used the pre-shampoo ( I was also shocked about the 5 minutes massage – I only did about 1 minute) and then the shampoo and my hair went so soft, like a baby’s hair and the shine was there for a couple of days. I have to contradict you Jane, on the pre-shampoo thing. The other day I forgot to take it with me to the gym and only used the shampoo and the effect was not the same. I reckon it’s the pre-shampoo that does the trick. I don’t say it often as I’m quite sceptical in general, but these stuff are a must.